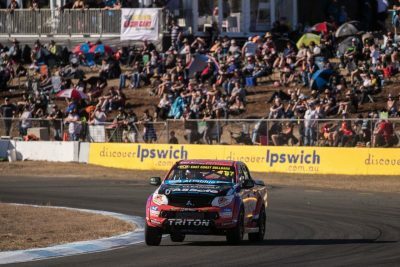 Camden-Based racer Cameron Crick has made an immediate impact in his ECB SuperUtes series debut at the Coates Hire Ipswich Supersprint. The 20-year old wasted no time finding his feet in the category, with a string of strong showings helping the young racer to continue to cement his reputation as one of the nations most promising young drivers. 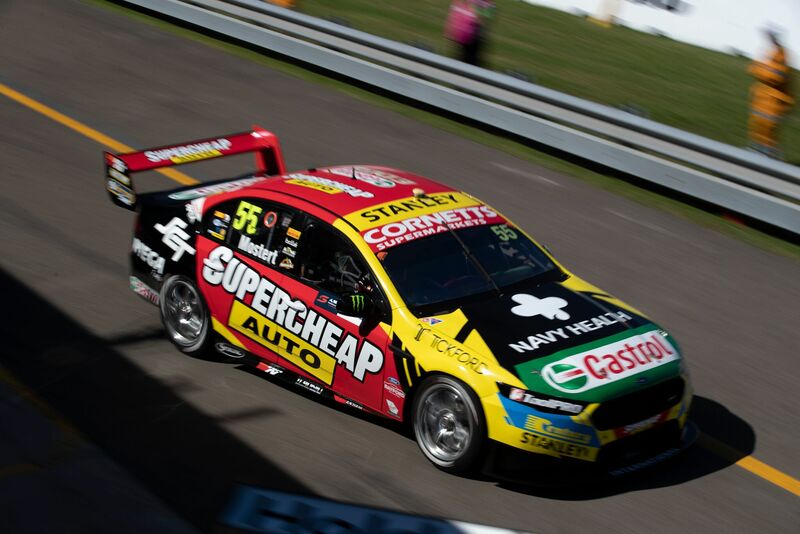 Remarkably, Crick entered the weekend without having driven at Queensland Raceway, and without having driven a SuperUte, making his results all the more impressive. “We were due to have a test day the Monday leading up to the weekend and unfortunately it all fell through, so Practice 1 would end up being the first time driving both the car and the track”, Crick would explain, “It wasn’t what you’d call ideal preparation but we just had to do our homework in the lead up and make our time count in the practice sessions. As we found out it was a very different beast to the (Toyota) 86 and so it took some getting used to driving something of that size so aggressively”. Despite this, Crick would show promising signs through both practice sessions, setting times which were competitive with the rest of the field. However, these promising signs were in danger of not materialising following an incident in qualifying which left the young charger not only bogged in the sand trap, but also starting from the rear of the grid for Race 1. Crucially, the incident also prevented Crick from being able to gain more valuable time behind the wheel to prepare for his first race. With team morale somewhat low following the incident in qualifying, Crick would commandeer his #87 Team Triton entry through the field, showcasing his race-craft to secure a 5th place finish in Race 1 – a 6 position climb on debut. The reverse grid format for Race 2 forced Crick to start once again in the back half of the grid, however the 20-year old would again blow through the field, climbing from 7th position into 2nd. Despite the emergence of several obvious mechanical issues, Crick would cling to his coveted podium finish before being dealt with a cruel blow, being given a drive-through penalty for making contact with a competitor. This incident would culminate in Crick finishing in 8th position. Despite the adversity he had faced throughout the weekend, the 20-year old remained focused on Race 3 and finishing the weekend on a high. Starting out in 5th position, Crick would make his way through the pointy end of the field, and negotiated several obstacles – including a monumental rollover by Team Triton teammate Mick Sieders – to make his way into second position, before ultimately finishing the race hot on the tail of eventual winner Craig Woods. Despite encountering multiple setbacks which threatened to derail the team’s efforts across the weekend, Crick walked away in 4th position for the round after a performance which drew much acclaim from commentators and spectators alike. Coming off several great results in the opening 2 rounds of the Toyota 86 Racing Series, Crick continues to impress the Australian Motorsport community with his determination and dedication to his craft. “It was a massive confidence boost to be able to jump in and produce the results we did with such little experience at the venue and in the car”, Crick stated, “with some things not going our way you do always think ‘what if’, but nonetheless I’m very thankful to have been given the opportunity by Team Triton and I think there’s plenty I’ll be able to take away from this race meet”. Crick is now beginning his preparations for The Bend Supersprint in late-August, where the young speedster will be back in action behind the wheel of the #7 Clintons Toyota entry in the Toyota 86 Racing Series. Crick currently sits 3rd in the championship standings for the series.